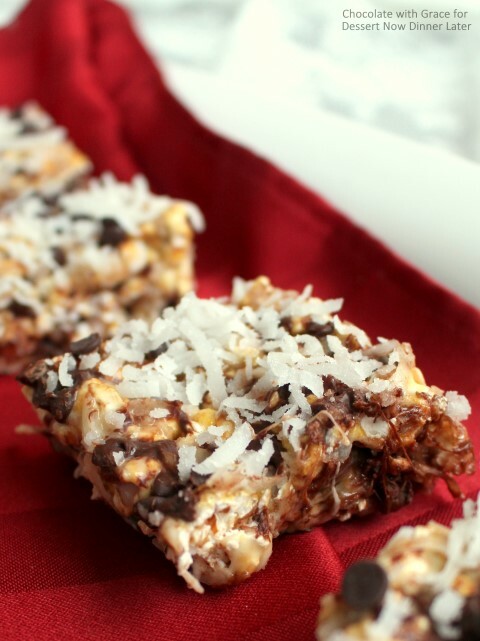 Chocolate and Coconut together with Caramel Popcorn make quick and easy treat. Think of a rice kripsie treat made with caramel popcorn instead. Thanksgiving and Christmas are coming so fast! Ahhh. This morning I have some crazy Christmas recipe ideas in progress in my kitchen. Crossing my fingers for some success. After a week of work, spending time in my kitchen is so relaxing for me. I’ll admit cooking recipes and taking pictures are a lot more fun for me than the actual steps of writing a post. So while I’m having fun in my Kitchen this morning, head on over to my friend, Amber’s blog, Dessert Now Dinner Later for the recipe for these treats and get busy in your own kitchen. They are fantastic! I can’t believe how fast all the holidays are coming up too! These treats would be perfect to munch on! 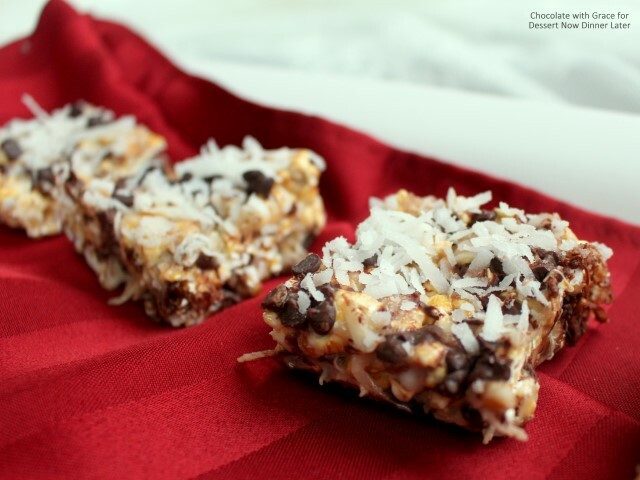 Chocolate and coconut is one of my favorites. They look delicious!